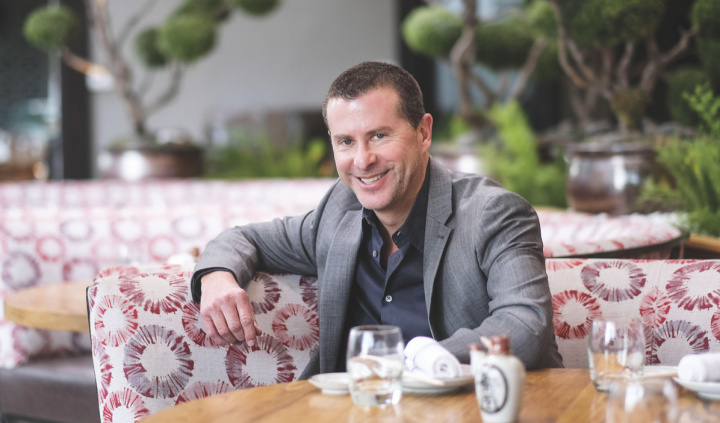 Los Angeles-based Innovative Dining Group has been a pioneer in the realms of upscale Japanese restaurants and modern steakhouses for 20 years. 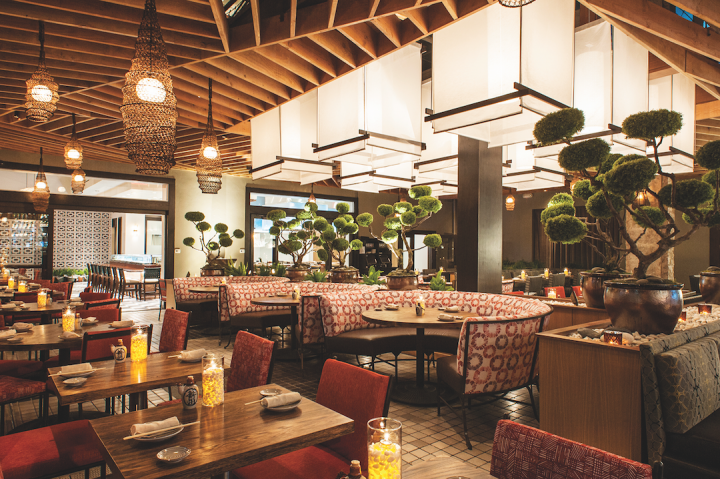 Innovative Dining Group's five-location, Japanese-themed Sushi Roku (interior pictured) incorporates California twists. The venue, which opened in Hollywood, California in 1997, was the company's first restaurant. Never ones to follow the status quo, Innovative Dining Group opened a chic and contemporary sushi concept in 1997 that paved the way for modern Japanese restaurants in the United States. 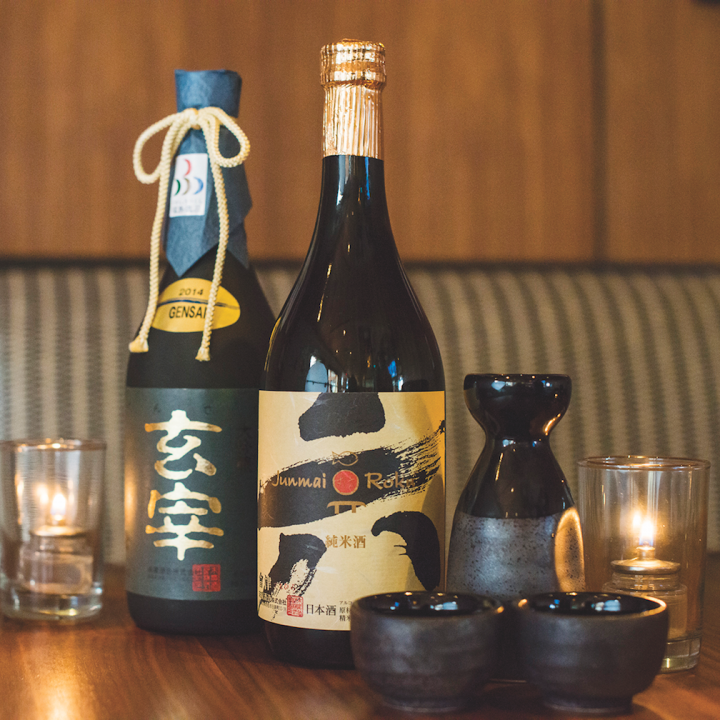 Sushi Roku, which debuted 20 years ago in Hollywood, California, stood out immediately for its higher-end menu and design, varied beverage program, and hospitality-driven mindset. In a star-studded, health-conscious town like Los Angeles, Sushi Roku quickly became a destination restaurant and remains popular today. Innovative Dining Group now operates five Sushi Roku locations in Santa Monica, Pasadena and Newport Beach, California; Las Vegas; and Scottsdale, Arizona. Three other Japanese-themed concepts round out the portfolio: Katana, with locations in West Hollywood, California, Chicago and Dubai; Roku in West Hollywood; and Robata Bar in Santa Monica, as well as the contemporary American Boa Steakhouse in West Hollywood, Santa Monica and Abu Dhabi. In all, Innovative Dining Group operates 13 venues. Revenues approached $100 million in 2017, with beverage alcohol comprising about 25% of that total. The company recently put a renewed emphasis on its drinks program by hiring a corporate beverage manager to revitalize its offerings. When Maen and his partners opened their first Sushi Roku in 1997, they knew they wanted to add more units, though Maen says they never expected to launch additional concepts. They started with upscale and stylish Japanese fare because they liked that style of food and didn’t see a lot of competition. Maen says the company’s success and longevity can be attributed not only to its high-quality food and drinks, but also its dedication to service and hospitality and its lack of pretension. Beverages play an essential role at every Innovative Dining Group venue. At Sushi Roku, the drinks list is comprised of both specialty drinks and an abundance of sakes (pictured) and shochu. Sushi Roku’s menu is rooted in Japan but is heavily influenced by California. The venue offers a varied selection of sushi, sashimi and specialty rolls ($5 to $38 for sushi and sashimi; $7.50 to $21 for rolls in Santa Monica, California), including signatures like the Baked Lobster roll served with miso Hollandaise sauce. Though fish is the highlight, Sushi Roku also lists a handful of cooked entrées, from a Japanese-style rib eye to teriyaki-glazed chicken ($28 to $48). 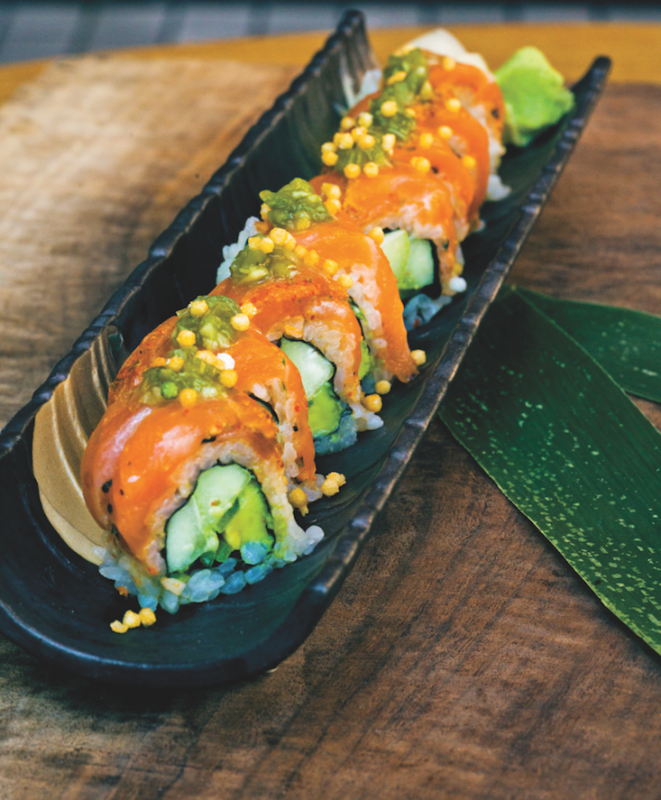 The Gensai Roll at Sushi Roku is made up of seared togarashi salmon, kizami wasabi, and avocado. Each Innovative Dining Group concept has its own distinct food and drinks menus, and all the Japanese venues highlight cocktails, sake and shochu, in addition to carrying a full roster of Japanese beers from brewers like Asahi, Kirin, Sapporo and Hitachino. A sister concept to Sushi Roku, Roku is an omakase-style venue with a teppanyaki room and a sushi bar. A teppanyaki-style dinner starts at $29 for organic chicken and can go up to $120 for Japanese A-5 wagyu beef. Roku’s regular dinner menu spans sushi and sashimi, noodle dishes and robata-grilled meats (sushi starts at $7; ramen is $15 to $18; robata fare starts at $4.50 a skewer). Roku’s drinks menu lists 15 specialty cocktails ($13 to $17), a variety of Japanese whiskies ($15 to $650 a 2-ounce pour), and sake ($9 to $24 a glass; $11 to $69 a can or bottle; $18 to $28 for a flight of three 3-ounce pours). A robata and sushi bar with a heavy nightlife component, Katana in West Hollywood, California, and Chicago also has a far-reaching food menu. The venue offers robata-grilled meats ($3.50 to $21 per skewer) and robata-style prepared entrées ($10 to $52), as well as seafood and steak dishes ($14 to $65) and sushi ($5 to $38). Standouts include tuna sashimi with wasabi soy truffle oil over arugula, served with avocado and shaved Parmesan cheese, and jumbo shrimp wrapped in bacon with a chili garlic sauce. Katana features a robust beverage program. The restaurant has an upbeat atmosphere and evolves from a dining area to a lounge concept as the night moves on. Each location has an outdoor patio area that doubles as a drinks-driven space. Signature cocktails include the Yuzu Margarita, blending El Silencio Espadín mezcal, yuzu and grapefruit juices, and agave syrup, garnished with a lime wheel and black lava salt. Katana also lists sake and shochu ($7 to $27 a glass; $24 to $195 a bottle), wine ($9 to $30 a glass; $36 to $800 a 750-ml. ), and beer ($7 to $12 a bottle). 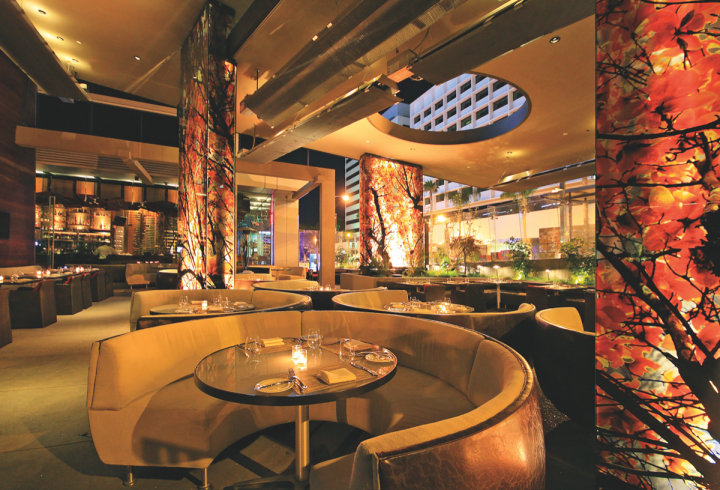 Rounding out Innovative Dining Group’s Japanese concepts is Robata Bar in Santa Monica, California. Modeled after a Japanese pub, the venue serves sushi, sashimi and robata fare ($5 to $36 for sushi; $3 to $21 for grilled meats). As at its counterparts, the venue’s cocktails all take a Japanese angle (drinks are $13 to $16) and are joined by sake ($9 to $28 a glass; $45 to $230 a bottle) and Japanese beer ($7 to $12 a draft pour or bottle). Beyond Japanese cuisine, the company operates three Boa Steakhouse units. The upscale restaurants offer various cuts of beef, from dry-aged strip steaks to filets ($44 to $78; wagyu is $26 per ounce), as well as bison, venison and lamb; seafood; and even vegan dishes ($28 to $64). Wine is a key player at Boa and the restaurants boast lists with 250 offerings and high-end labels like the 2005 Opus One and the 2012 Harlan Estate Cabernet Sauvignon ($11 to $28 a glass; $51 to $2,100 a 750-ml.). Classic cocktails also have a place, and Boa’s menu includes the 28-Day Barrel-Aged Manhattan, made with Knob Creek rye, Carpano Antica Formula Sweet vermouth and Angostura Aromatic bitters (cocktails are $14 to $18). 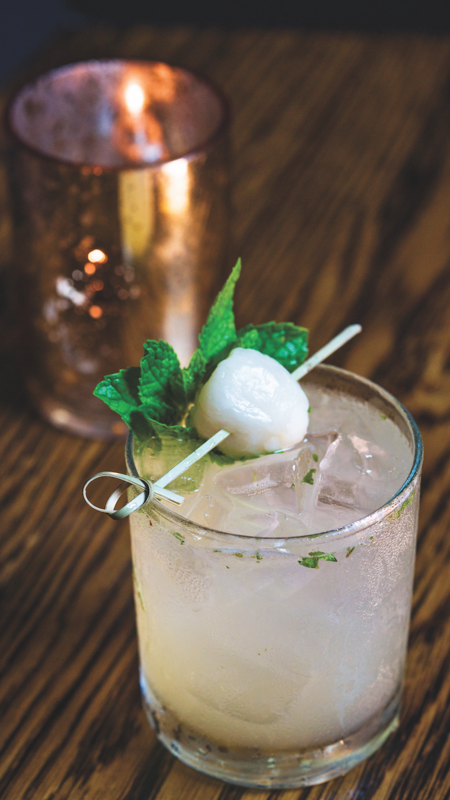 Sushi Roku's Ginger Lychee Mojito mixes Cruzan Aged Light rum, lime juice, and a house-made syrup that blends fresh mint, lychee fruit, and ginger. The drink is topped with a float of Pyrat XO rum. Though each Innovative Dining Group concept has its own distinct drinks program, there is some overlap among the overall offerings. Drinks like the Matcha Mule and Yuzu Margarita are found on multiple menus, and each venue boasts a house-made spirits infusion. At Robata Bar and Katana, the infusions are made with a mix of Svedka Original, Raspberry and Citron vodkas, infused in-house with pineapple, honeydew, cantaloupe and watermelon. Johnston adds that in the bar areas she aims for a fresh, chic vibe with modern accents. She evokes a farm-to-glass feel by keeping fruits and produce on display at the bar, along with high-tech gadgets to add smoke, dry ice and specialty ice into drinks. Further expansion is imminent for Innovative Dining Group, both in existing and new markets. In fact, the company has bold growth plans that include doubling in size over the next four years. Maen says growth will come from existing concepts and adds that he’s looking into more sites in Southern California and Chicago, as well as in new locales like New York City and Saudi Arabia.